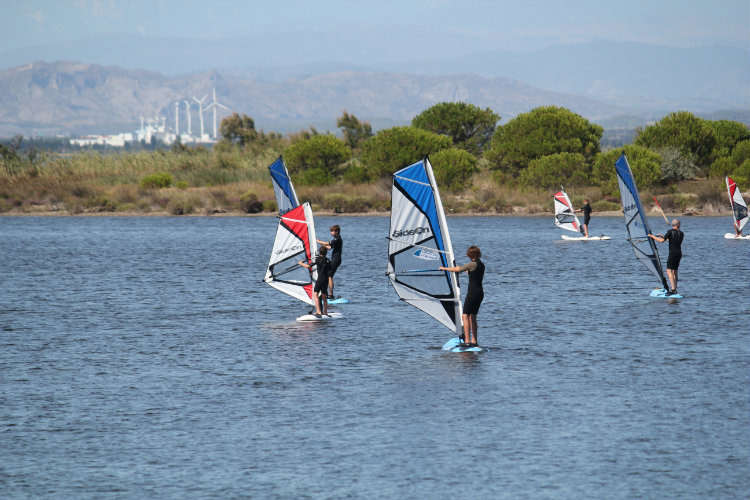 … Complete beginners and experienced practitioners, come to glide according to the winds in unique and remarkable places it's than offers you the Leucate , the lagoon, the beach of Coussoules, the Cliff and its witch, in windsurf, Catamaran, yachting sand or Kitesurfing. In the form of an courses, but also lessons or sessions. 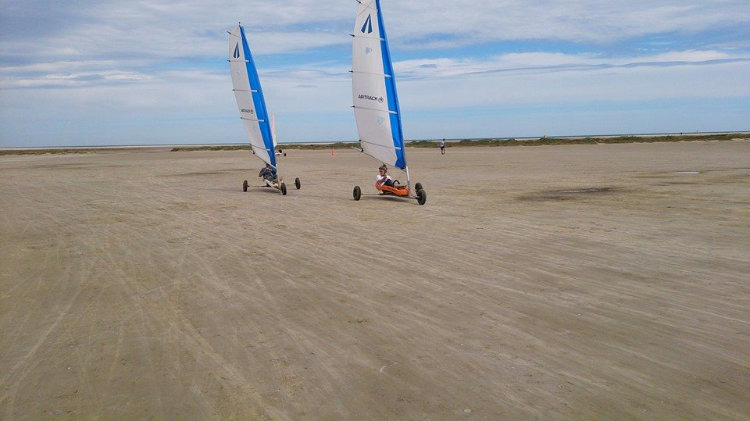 For a practice between adults in order to discover the sensations of gliding and exchange. Reserved for adults who have never or little practiced. 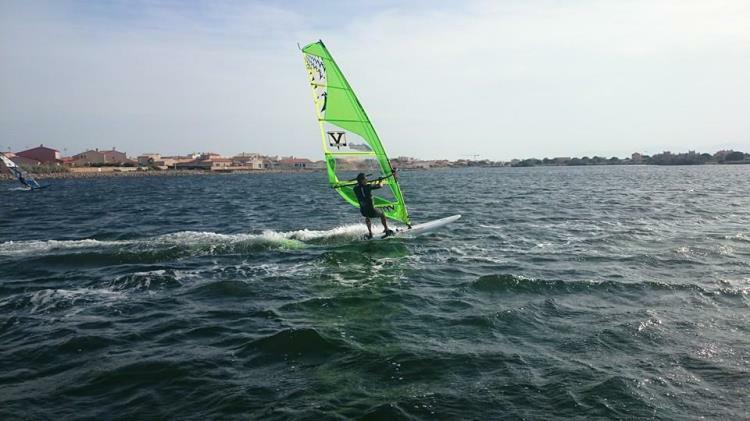 7 hours 30 Sailing to discover the pleasures of windsurfing. 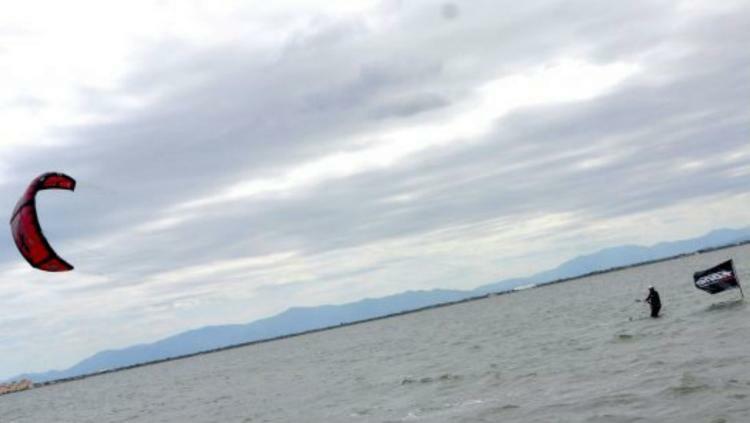 The course for teens who have never or little practiced (less than 15 hours) windsurfing is for them. 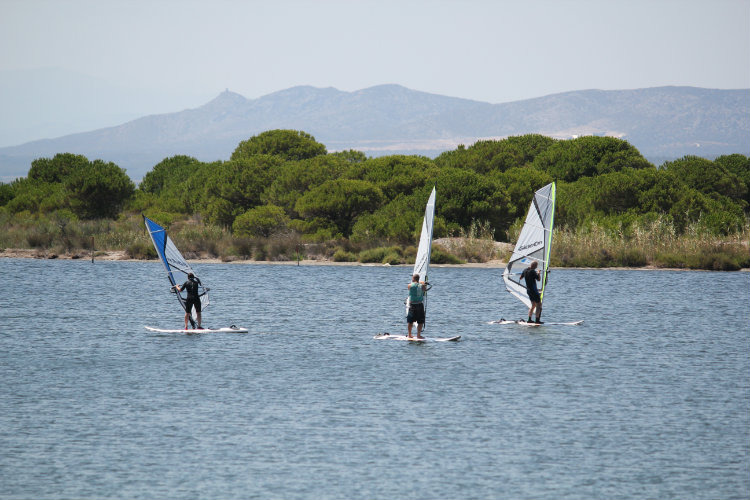 Supervised by a monitor throughout the week, this course is ideal for teenagers who have never or little practiced (less than 15 hours) windsurfing. From Monday to Friday, come and try the catamaran on NewCat 16. These stable, versatile, secure but sufficiently sporty boats will be ideal for discovering or deepening their gliding sensations. 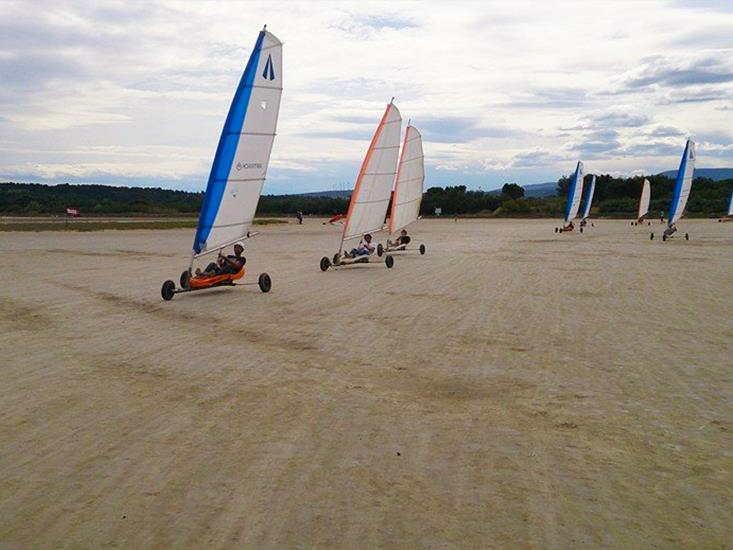 Come and try the yachting sand, an activity that is accessible to all, where pleasure and sensations are guaranteed. 7 hours 30 course to discover these new sensations and you can start validating your level (federal booklet). 4h30 course to progress in order to finish validating his level 2 or level 3 of his driving licence (federal booklet), framed sessions that are mixed with supervised taxiing to gain autonomy. 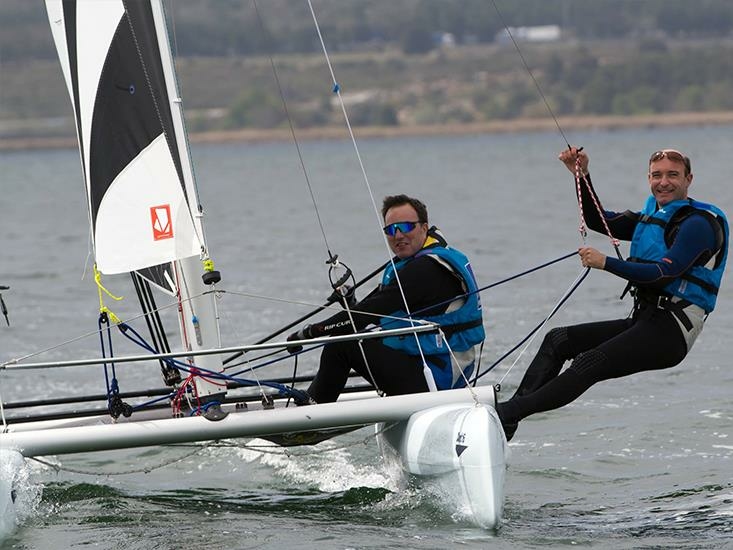 To have the tools of the planning, the jibe and the water-start safely with the new board and rigging fleet (from 3.5 m² to 7.2 m²) adapted to the template and level of each. 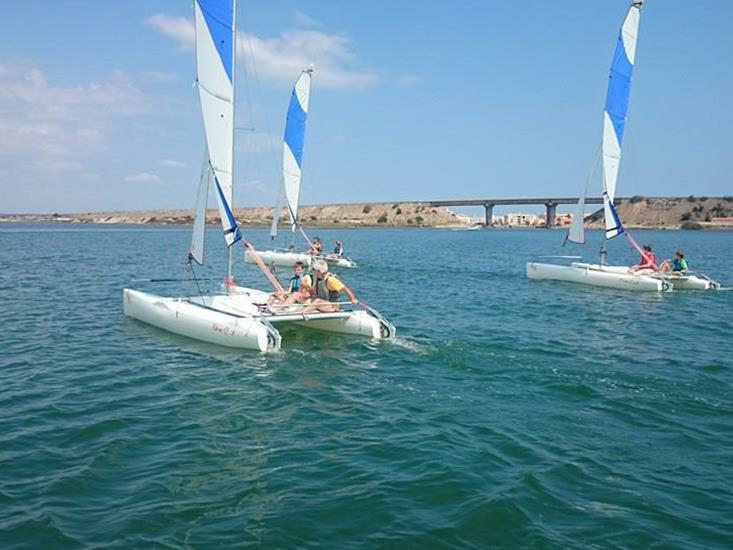 Course open to persons justifying level 3 validated (be autonomous in wind conditions 3 to 4). 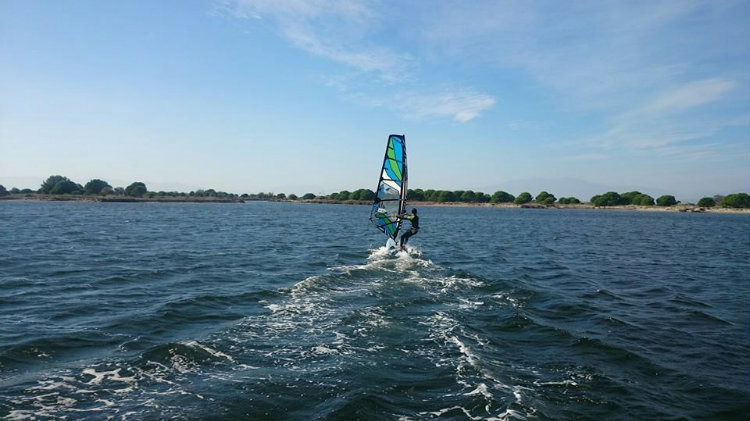 Course ideal for people with a good level of practice and wishing to acquire the basics of Funboard.